I will be the first to admit that I am not fond of exercise. Raising 2 young boys that often force me into lively Dance Party marathons, trampoline contortionist acts, corn~ hole tournaments, and basically all things that leave me winded, makes me feel that I get plenty of movement. 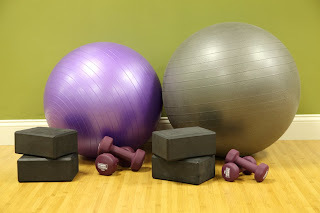 However, when it was announced that Taylor-Made Deep Creek Vacations was going to be working with Deep Creek Fitness and they invited us to come check them out, I was intrigued. I decided to stop in the other day to scope out the place. When I walked in, I was immediately warmly welcomed by the girls behind the counter. Nina, one of the personal trainers and manager, introduced herself to me and then began to show me around and tell me about some of the services they offer. She explained that the staff is always willing to work with the guests, either showing them how to properly use the equipment or even devising the best workout plan that suits the individual. Guests can also choose to seek the help of a personal trainer for an additional fee. This is where Nina would come in. She explained that she can help devise not only a workout plan but help develop a nutritional guideline as well. 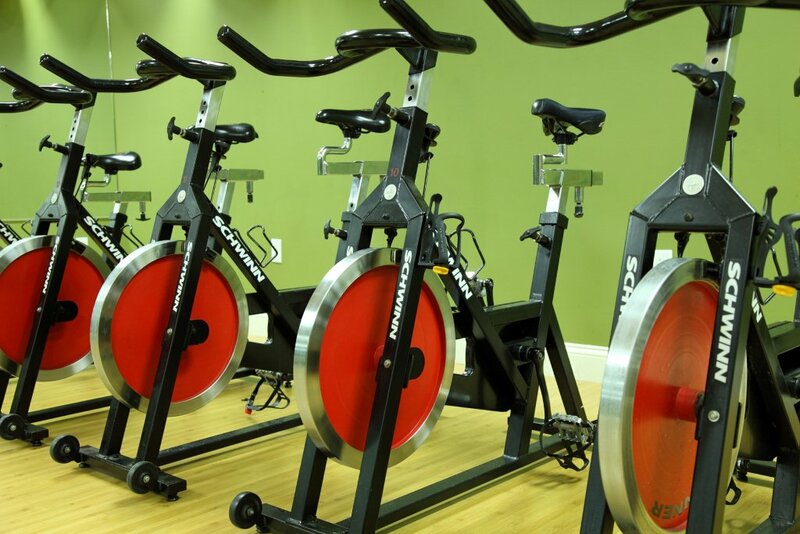 They offer lots of group classes as well such as spinning, zumba, yoga, and more. They will soon be offering a new class called BodyPump, which is a 60 minute workout that uses a platform, a bar and a selection of weights. She then showed me the group workout room where individual can also use for biking, stretching, or whatever they may want to work on at that time. Hmmm, so my interest is now piqued. As a group, I believe that many of our coworkers are going to start going together in the near future. This will also give all of us a more personal experience of the facility. Taylor-Made is hoping to soon convince more of our homeowners to purchase the 3 month membership for our renters to use when they stay in the home. We understand that many people have a certain routine and even though they are on vacation, they want to continue with their daily fitness regime. This would give them a chance to do that in a state of the art gym. So, many thanks to Nina for kindly showing me around. I think there is an excellent chance you may see me in the near future. Taylor-Made Deep Creek Vacations still has some homes open for the Thanksgiving holiday so call now to take advantage of our “Stay 3 nights for the price of 2!” special that we are offering. Also, this is a good time to start planning your ski getaway for Martin Luther King and President’s Day weekend. These do tend to book quickly so for the best choice of the home that works for you and your friends and family, call soon to speak to one of our Reservationist, who will gladly assist you. In meantime, we can’t wait to see you at the lake! sounds great has anything been worked out or does the Fitness Center have any special pricing available for Deep Creek Vacation clients? Thanks! We have homes that have the Deep Creek Fitness package – just ask the reservationists which homes are available with this. 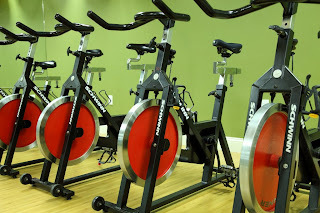 We will also be launching a special for Deep Creek Fitness in the next week or so, so watch our specials page! Previous Previous post: Giving a thumbs up to Lisa! Next Next post: A Taylor-Made Thanksgiving!